Alex joined Whitelaw Twining in 2007 and has broad experience before all levels of the British Columbia Courts as well as before all levels of the Alberta, Ontario and Federal Courts, the Tax Court of Canada and various administrative tribunals. Alex’s practice focuses on construction, commercial and professional liability matters. He heads up the firm’s Professional Liability Practice Group, where he defends architects, engineers and other design professionals in a wide variety of disciplinary proceedings. In addition, he has a broad construction law practice with particular expertise in construction insurance, warranty and surety related matters. Alex also works in insurance defence, commercial and employment litigation. 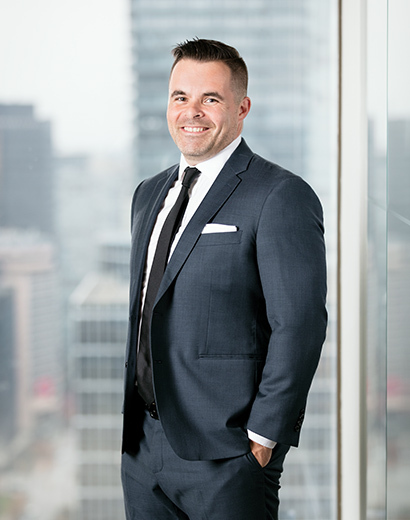 He has an active sports law practice and regularly acts for the Canadian Centre for Ethics in Sport Anti-Doping hearings and for other individuals and organizations in sport related matters. Alex navigates these dynamic areas of law with a pragmatic approach. He uses his expertise and creativity to find effective, creative solutions for his clients. Outside of work, Alex finds the time to coach his two kids’ sports teams. He plays golf and basketball, and enjoys travelling to new places.